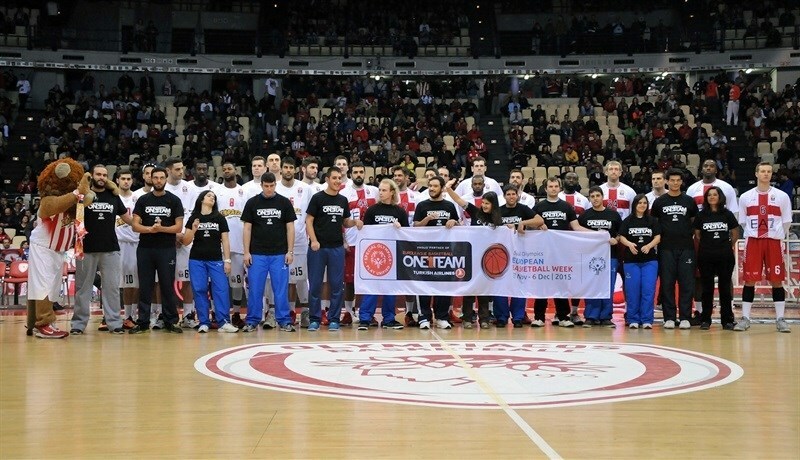 Already-qualified Group B leader Olympiacos Piraeus extended its winning streak to five games by pulling away in the fourth quarter for 73-63 win over visiting EA7 Emporio Armani Milan on Thursday night at Peace & Friendship Stadium in Piraeus. 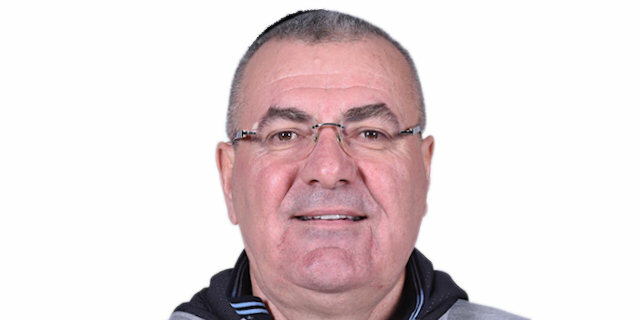 After a game in which the hosts missed Vassilis Spanoulis, and Milan played without Alessandro Gentile, the Reds improved to 7-1 and have a two-win cushion atop Group B, while Milan dropped to 2-6 in a share of fifth place. 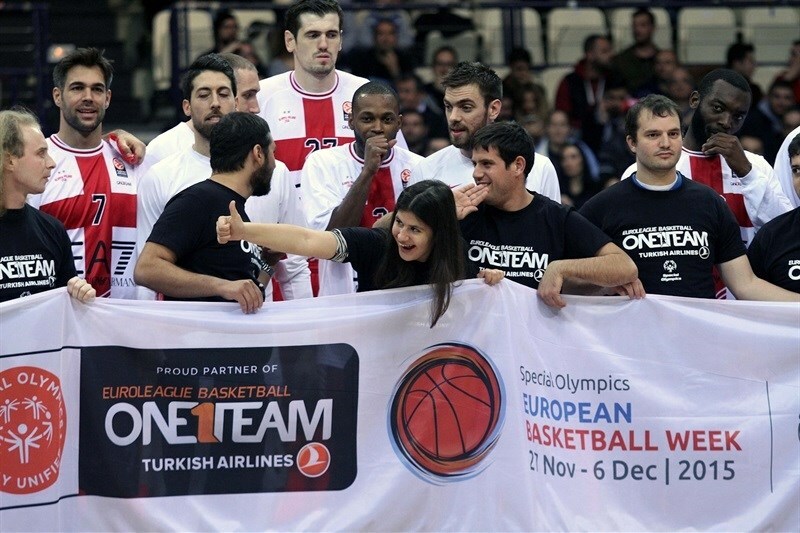 Olympiacos’s victory also put Anadolu Efes Istanbul through to the Top 16, while Milan needs to win by a double-digit margin next week against Cedevita in Zagreb to keep alive its Top 16 chances. 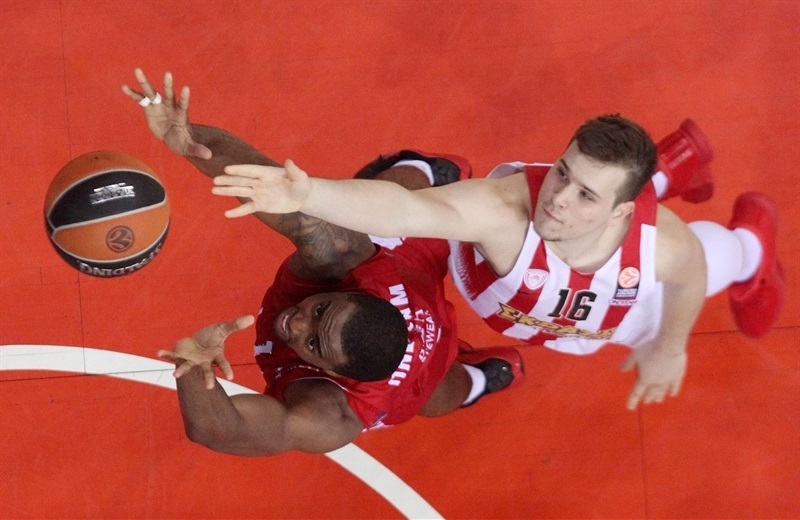 D.J Strawberry scored 9 of his 16 points in the fourth quarter and also pulled down 9 rebounds to lead Olympiacos. Nikola Milutinov added 12 points and Georgios Printezis 11, while Daniel Hackett had 9 points, 8 rebounds and 5 assists in victory. Andrea Cinciarini and Charles Jenkins each had 12 points and 4 assists for the visitors. 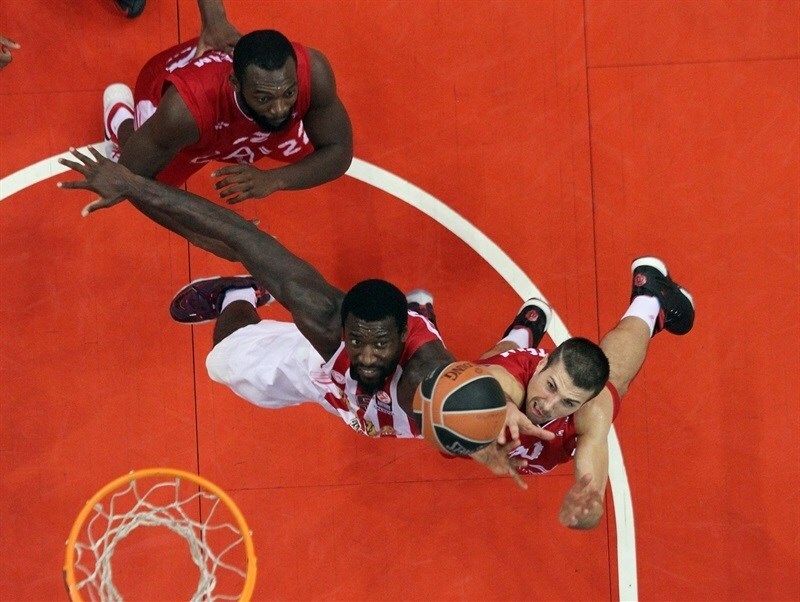 Jamel McLean collected 11 points and 10 rebounds, while Krunoslav Simon netted 9 points and dished 6 assists in defeat. Stanko Barac hit a jumper for Milan, and Milutinov scored inside for the Reds. However, those were the only baskets in the first four minutes of the game until Cinciarini hit a corner triple to make it 2-5. 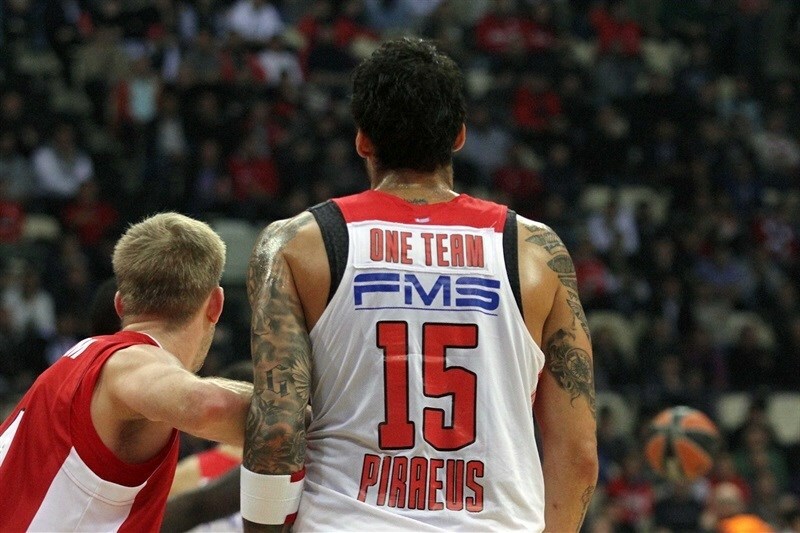 Jenkins added a three-pointer in transition, to make it 2-8 and force an Olympiacos timeout. But Hackett went coast-to-coast, Strawberry got to the hoop, and Milutinov added a monster dunk to tie the game at 8-8. Cinciarini ended Milan's three-minute drought with a driving layup, and a second-chance triple by Jenkins opened an 8-13 advantage. 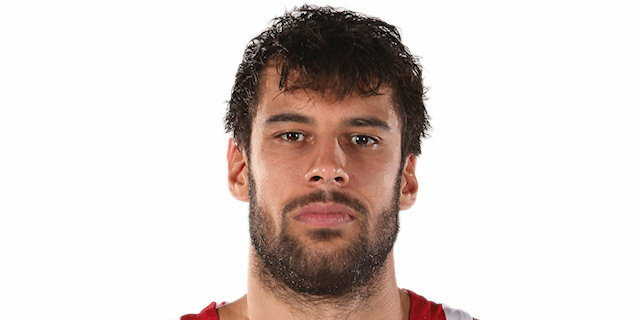 As the defenses dominated, Printezis made his trademark baseline floater, then knocked down a triple to beat the buzzer at the end of the quarter for a 14-13 advantage after 10 minutes. Printezis also scored inside on the opening possession of the quarter, but that turned out to be the only basket for another three minutes, until McLean made a tough turnaround baseline jumper. Jenkins buried a jumper, and after Simon made a corner triple, Jenkins knocked down a triple to make it 16-24. 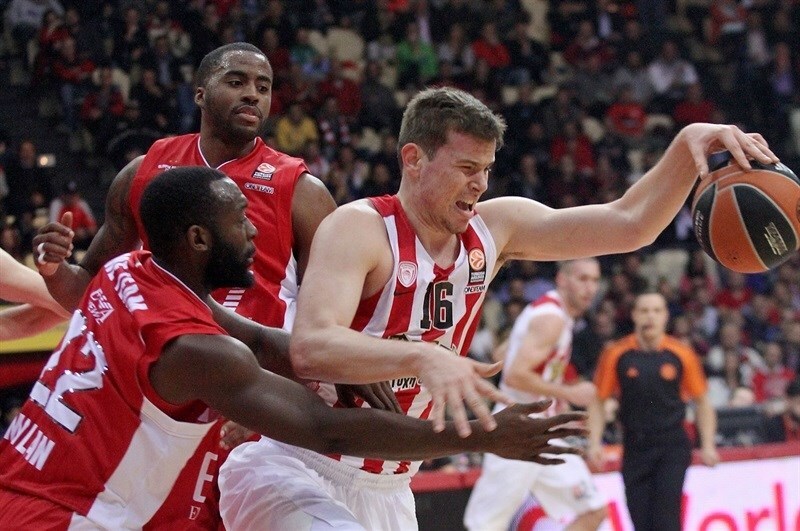 Matt Lojeski ended a span of more than seven minutes without Olympiacos basket and snapped a 0-11 run. But McLean finished inside, and after Milutinov threw down a big dunk, Cinciarini nailed a three to open a 21-29 advantage. In the final 80 seconds of the half, Lojeski hit a runner and Hackett free throws made it 25-29 at the break. 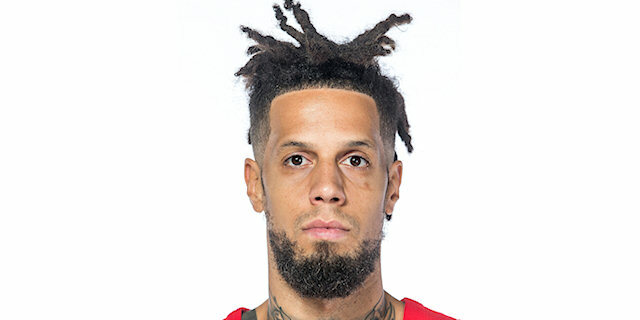 The scoring picked up a notch as Lafayette hit a corner triple, and after Printezis scored inside for the Reds, Lafayette and Ioannis Athinaiou traded triples to make it 31-35. Simon dished for an easy layup by Barac, but Mantzaris and Milutinov scored from close range, before Mantzaris battled inside for a layup-plus foul, giving the hosts a 41-37 edge. Simon snapped a 10-0 run with a driving layup. Milutinov scored inside again, but McLean scored in a crowd to keep Milan in sight, 43-41. 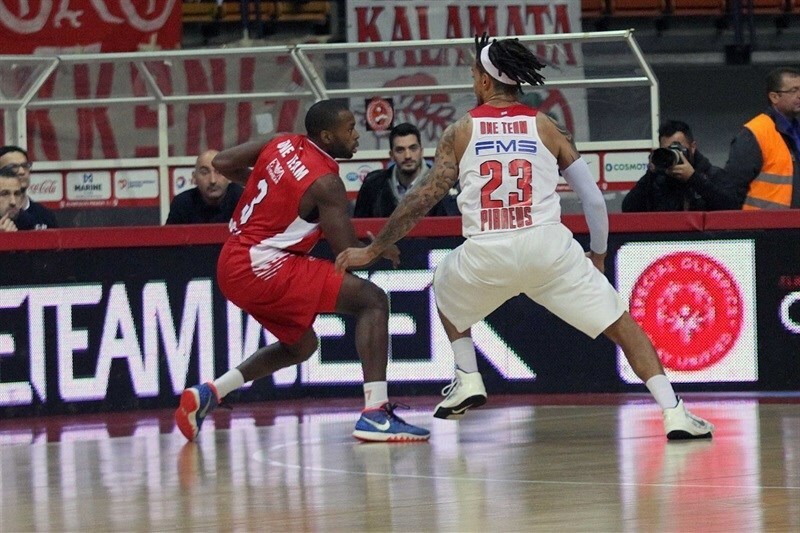 Othello Hunter had a put-back, but McLean fought his way for a basket-plus-foul and as Olympiacos lost Lojeski to an injured hamstring, McLean nailed a mid-range jumper and Robbie Hummel finished a fast break to give the visitors a 45-48 lead. However, Strawberry knocked down a triple to make it 48-48 after three quarters. 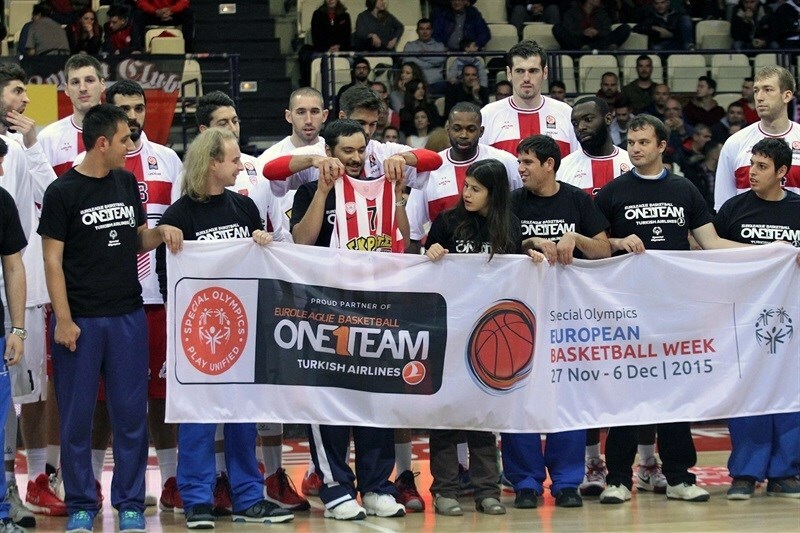 Hackett put Olympiacos in front with a driving layup, and Athinaiou beat the shot-clock with a triple to make it 54-49. Simon hit a turnaround jumper for the visitors, but Printezis and Strawberry each scored 2 free throws, then Strawberry made a steal and raced for a dunk and a 60-51 lead. After a Milan timeout, a long floater by Athinaiou extended the difference to 11 points before Simon’s foul shots snapped a 13-2 run. However, the Reds grabbed a couple offensive rebounds to keep Milan from gaining any momentum. Hummel knocked down a long jumper, but Printezis assisted Strawberry, who maintained the hosts’ double-digit lead. Barac hit a baseline jumper, but Strawberry iced it with a triple at 69-57 with 1:37 left in the game. Before the end, Hunter extended the lead to 14 points with a put-back. Hummel nailed three-pointer and Cinciarini drove for a layup to round out the score. 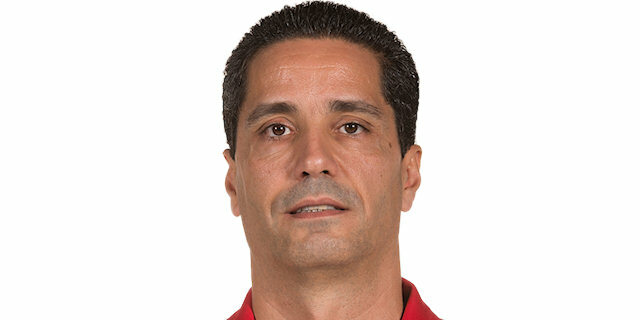 “Congratulations to Olympiacos for their win. Our target was to limit the offensive boards of our opponents, because it is one of their strongest points, but it didn’t work out. In the first half we controlled the rhythm of the game and our defense was efficient as we allowed them to score only 25 points. However in the second half they scored 47 points and this is a clear proof of what happened here." "We came out in the second half with more energy on both ends of the court and that was the key for us tonight. Thanks to that energy, we improved our defense and managed to run in the open court and score easy points on fast breaks." "I am happy to return to action and I hope to not to get injured again and stay healthy and strong for the remainder of the season. It was a crucial game in order to lock up the first place, no matter if it is important or not. We are improving our game, but we have to try harder because the Top 16 will be another story. Tonight we didn't start well by allowing our opponents to move the ball well and score with consistency from behind the arc. Time is all we need, and of course to avoid the injuries, because so far we have never played all together." "It was a tough and difficult match against a team that is playing its last card to make it to the Top 16. We didn't start well, but our performance improved in the second half. We tried harder, we fought and we beat them. 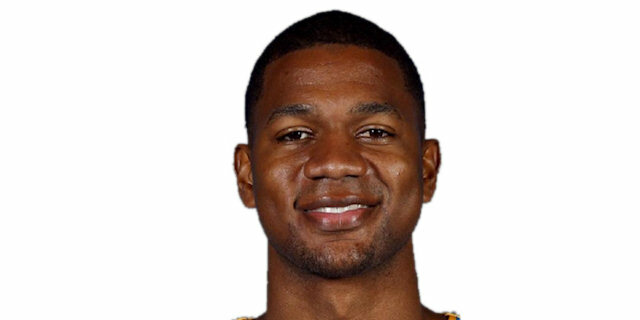 Although I used to play for EA7 Armani Milan, I tried to handle this game like a regular one."